The existence of many companies and multinational entities of foreign interests in Cyprus increased the need – in the purpose of possible disputes among the parties – to settle their differences rapidly and effectively. This is why dispute resolution processes are used imaginatively; processes need to be fast, effective, flexible, private and most importantly must have the capacity to cross international boundaries. Arbitration, in one hand, is consider as a key mechanism to ensure fast process, flexibility and cost efficiency, while Cyprus’ legal framework and as a signatory of the New York Convention 1958 (Enforcement of Arbitral Awards ) constitutes the country as an appropriate seat of settling disputes. 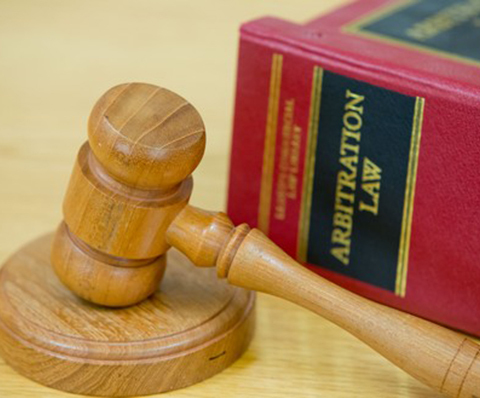 One of the key features of arbitration is the arbitration agreement; is vital because in the absence of such agreement no dispute can be referred to arbitration, therefore, it is of great importance the fact that the authority of arbitration comes exclusively from the parties’ agreement. Moreover, parties can choose the persons who will ultimately resolve their disputes. Although, the arbitrators are pointed out by the parties, are obligated to be impartial and independent. The choice of arbitrators seems to be extremely valuable when it comes to construction disputes of technical nature. Furthermore, confidentiality is another important element of arbitration since arbitral procedures and awards are private and confidential, contrary to Court Procedures which are not. Arbitral awards can be easily enforced rather than a Court’s decision. The New York Convention 1958 provides that States signatories to the convention are obligated to trade an arbitral award as if it was a Court’s decision. Therefore, it is a great advantage that arbitration can lead to binding and immediately enforceable results. Another key feature is the seat of arbitration which refers to the “legal place” of arbitration which is not necessarily the same with the “physical place” where the hearings are conducted. Finally, the parties are able to choose the set “procedural rules” that wish to use in their dispute such as the time frames, rules related to the witnesses’ procedure, the conducting of the hearings etc. These rules apply as a matter of contract. All the above, are only some of the key elements that arbitration as an alternative dispute resolution mechanism could offer rather than Courts. For more information do not hesitate to contact our firm.